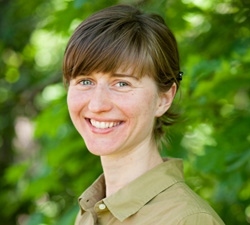 Alice Dauriach's research focuses on understanding how financial markets, large corporations, and financial secrecy interact with the Earth system at a global level. She joined the Global Economic Dynamics and the Biosphere Programme as a research assistant in January 2016, and is now doing her PhD at GEDB, as part of a collaboration with the Stockholm Resilience Centre at Stockholm University. The preliminary objective of her thesis is to uncover if and how financial secrecy enables the pursuit of environmentally damaging economic activities, with the risk of disrupting critical biomes and eroding the resilience of the biosphere. Secrecy jurisdictions (or ‘tax havens’), allow a degree of opacity in global financial markets which undermines the enforcement of regulations, the tax revenue of nations, and the accountability of government officials. This may ultimately reduce the ability of countries to democratically govern the use of natural commons and to lead the transformation to sustainability in the context of Agenda 2030. Outside her PhD project, Alice helps with different projects at GEDB, including "Earth system finance", and the Seafood Business for Ocean Stewardship (SeaBOS) initiative. Alice holds a Bachelor's degree in social sciences from Institut d'Etudes Politiques de Paris, France, and a Master of Science in economics and public policy from Institut d'Etudes Politiques de Paris, Ecole Polytechnique and Ecole Nationale de la Statistique et de l'Administration Economique, France. Prior to her PhD, she worked with green economy projects at the United Nations Environment Programme and the United Nations Institute for Training and Research, Switzerland.